Smithfield, RI — In an offensive shootout to debut NEC play in 2018, the Robert Morris Colonials would find their 17-point comeback fall short at the hands of the Bryant Bulldogs as a late touchdown would give Bryant the 49-46 victory at home in Smithfield, RI. In a game that was full of surprises, the beginning gave way for what appeared to be a Bryant blowout. The Bulldogs took the 21-3 lead early with two passing touchdowns and a rushing touchdown from Daniel Adeboboy on a 29-yard scamper. The Bulldogs offense was relentless, scoring a touchdown on six of their first seven drives of the game. Bryant quarterback Price Wilson displayed why he came into this one ranked as the best quarterback in the NEC, finishing with a total of 359 yards passing and four touchdowns. 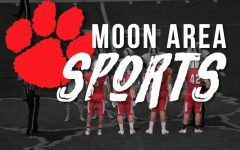 This coming despite the departure of star kick returner and wide receiver Jean Constant in the first quarter. 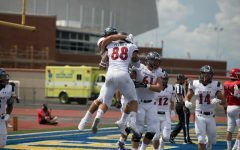 And while the Colonials defense struggled in the first half, the RMU offense sputtered through the first 30 minutes of the game, going into the locker room at halftime down 28-10. But despite the lack of consistency from the Colonials offense, the second half had quarterback Jimmy Walker and Robert coming out firing. Running back Terence Stephens took the opening kick of the second half all the way down to the Bryant 3-yard line and with a four yard touchdown grab from Matthew Gonzalez, Robert Morris was on the board quickly, making it 28-17 with almost two full quarters still to play. But the Bryant offense could not be slowed down and 52 seconds later the Bulldogs got themselves their first second half score with a 9-yard rush from Brendan Femiano set up on a 44 yard reception by Shelton McNeal. A quick three-and-out from RMU made it seem as though there would not be enough offensive production to keep the Colonials in this one. That is when the Robert Morris defense would make a statement of their own. In an awkward play that saw the Wilson pass bounce off of the referee, it would be Myles Canton of the Colonials that would end up with the interception. And just like that it would be Robert Morris with the ball at the Bryant 24-yard line. Two plays later, Terence Stephens would find the open field and take the ball 19 yards into the end zone for his second score of the season bringing the score to 35-24 still in favor of the Bulldogs. 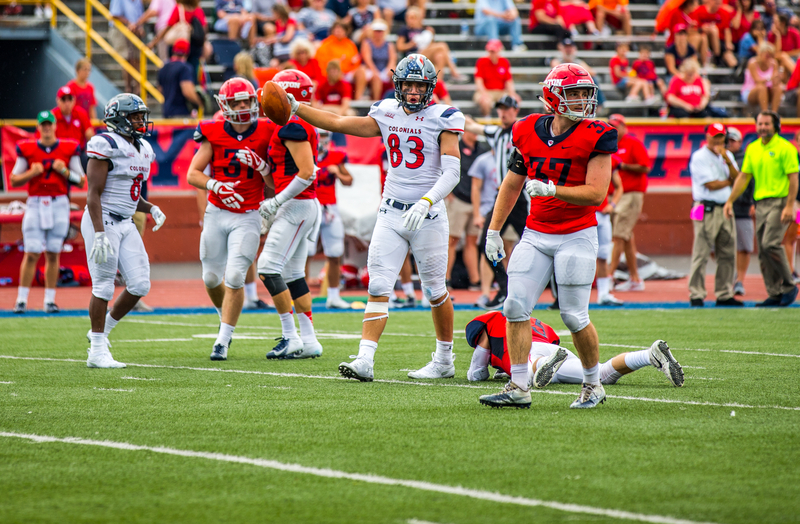 But once again, the RMU defense would struggle to find any sort of consistency stopping the ball as a 60 yard reception from Declan Burt would be the fourth touchdown in just 4:59 of the third quarter. An offensive onslaught from both teams that would find the RMU deficit the same as it was before the half. Except this time was different, the Robert Morris offense had a new found confidence, and they would become a force to be reckoned with. The man behind much of this was freshman running back Alijah Jackson who would find himself having a career day in his first season with the Colonials. Jackson would be responsible for 42 yards on the Colonials’ third quarter drive that would make the score 42-31 thanks to the two yard run from Jackson. The RMU offense was continuing to fight and keep their team in this one. That was when the Robert Morris comeback would truly begin. A quick Robert Morris defensive stop would carry the Colonials into the fourth quarter, where Jimmy Walker and Jackson would plow RMU down the field, finishing with a Walker touchdown run and a Jackson two-point conversion to make the score 42-39, for the first time since the very beginning of the game, RMU was within striking distance to taken their very first lead of the game. Bryant was doing everything in their power to prevent that from happening. The Bulldogs found their drive heading into RMU territory when EJ Jimenez made one of the most important plays of the game in favor of the Colonials. Jimenez’s grabbed his first interception of his career off the Wilson pass and gave Robert Morris the chance to take the lead. The Colonials would take full advantage. RMU forced their way down field thanks to their most effective drive of the afternoon as four different Colonials receivers found the football highlight by an incredible catch from Anthony Dellefemine who fought off the defender to make the grab at the 1-yard line. Jackson would run in his second score of the day and it would be the Robert Morris Colonials taking the 46-42 lead with just 6:46 remaining and aiming to earn their first win at Bryant in program history. That’s when the wheels began to fall off for the Colonials. The RMU defense which had struggled mightily throughout the game continued to do so as the Bulldogs pushed right down the field. With just over three minutes remaining and Bryant at the RMU 26-yard line. It would be Isaac McCray who would take the off tackle hand off and scramble 26 yards into the end zone to give the Bulldogs their lead back. With still 3:03 remaining, the Colonials would try and continue their offensive magic. That unfortunately was trend that would not remain. Two plays into their drive, the defensive pressure would prove too much as a Jimmy Walker fumble would end the Colonials drive before it even truly began. RMU would have one more chance to get possession back. With just under two minutes remaining, the Bulldogs faced a fourth-and-12, a first down would win the game for the Bulldogs while a failure to convert would put the ball into RMU’s hands with time still on the clock. Wilson would scramble from the pressure and find Vincent Nisivoc on the 12-yard reception, just enough to give the Bulldogs the first down and the win. 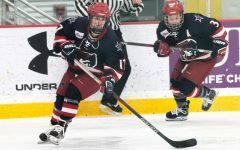 It was an incredible offensive performance that would fall short for the Colonials as the Bulldogs would sneak away with the victory on their own turf in Smithfield. Robert Morris will ride home from Rhode Island with a bye week coming up in the schedule. Their next matchup will come Oct. 6 at Joe Walton Stadium against the Central Connecticut Blue Devils.